An exhibition by Robin Tarbet signals a new direction for Frome's Black Swan Arts, which lost its Arts Council England funding last year. Merlin Theatre Trust in Frome, Somerset was one of the 45 combined arts organisations to lose its funding from Arts Council England last year. Black Swan Arts, an arts centre, café and gallery in the heart of Frome, was one of the Trust’s main visual art and dance projects. Black Swan has since suffered severe cuts to its core funding, forcing it to close parts of its building and make several staff redundant. But, thanks to a newly appointed committee who are reinvigorating the gallery programme, its visual arts activities are being sustained, and are moving forward in new and exciting directions. London-based RCA graduate Robin Tarbet is one of the first artists to show in Black Swan’s new 12-month programme, which aims to attract new audiences to the centre as well as help regular visitors feel a renewed sense of engagement with the space. 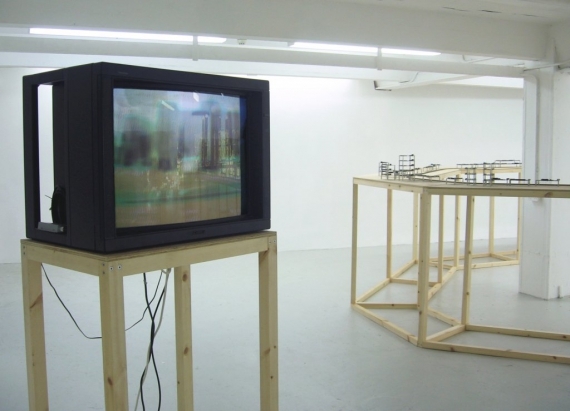 Tarbet’s installation Monitored Landscape Series, first commissioned by East International in 2009, opens this evening. Monitored Landscape is a live installation that presents a journey through a seemingly industrial landscape. 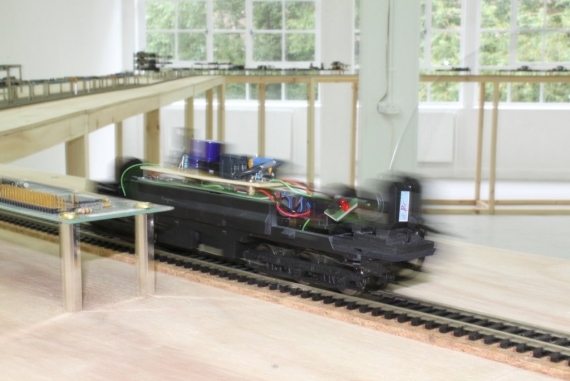 A video camera mounted on a model train records images as it winds through a constructed topography of electronic circuit boards. Artist and Black Swan curator Tristan Stevens was attracted by the binary format of Tarbet’s piece – the gallery is housed over two floors, ideal for creating two separate, but interlinked environments – as well as the formal qualities and conceptual reference points for the work. Tarbet grew up in the West Country and recalls the region’s rich engineering heritage. For him, the visual references in his work to railways, surveillance technology and CCTV seemed to resonate with the local context. Stevens sees links in Tarbet’s work to contemporary issues of development, changing urban landscapes, and future and past places. Black Swan itself – originally a pub, used as a market place after the Second World War, and then restored as an arts centre in the 1980s – carries echoes of its past histories and surroundings. Stevens is hopeful about reactions to the work from local audiences. He believes projects like Tarbet’s signal the start of something new for Frome and for Black Swan, which could help bring back funding support to enable the organisation to grow. Robin Tarbet: Monitored Landscape no.9 reviewed by Mark Wilsher.